From historic to a taste of Hollywood, Clayton County offers visitors an experience to remember. The small community of Clayton County was immortalized in the pages of the novel "Gone With the Wind" as Margaret Mitchell&apos;s inspirational setting and boasts excellent access to the excitement of Atlanta as well as the scenic main streets of small-town Georgia. 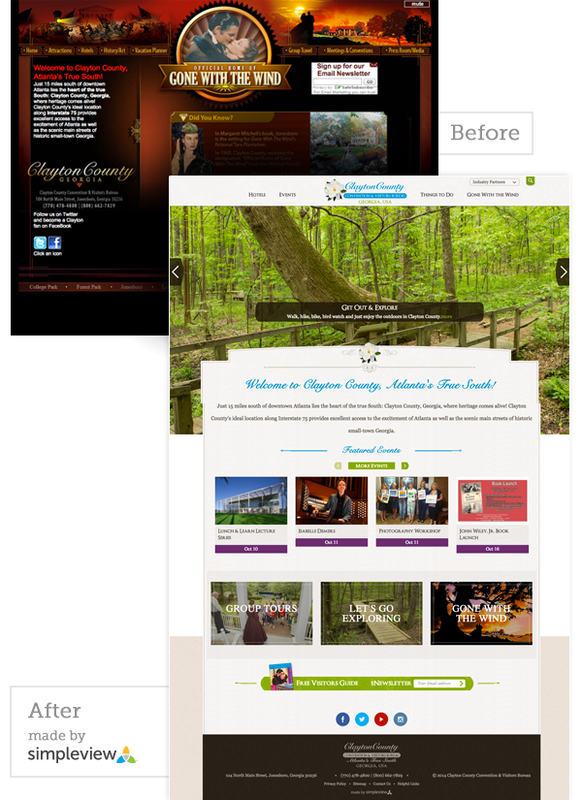 To help better market this destination, the marketing team of Clayton County CVB sought a new, fresh-feeling website. 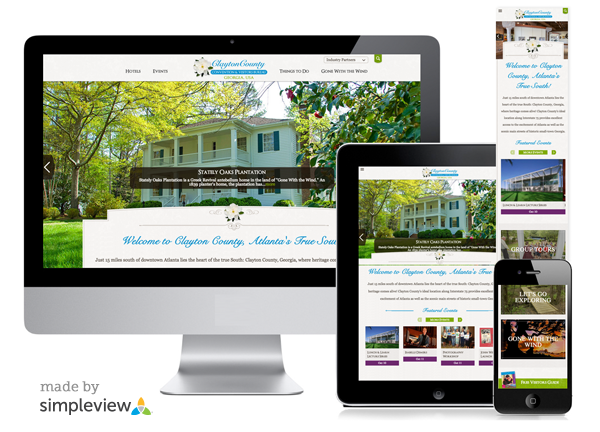 Clayton County&apos;s elegant design is also responsive, optimized across various devices including tablets and mobile phones. The new build gave Clayton county the ability to show listings. The listing features share images, addresses, map locations, amenities and more with visitors, and fit seamlessly into the design of the website. 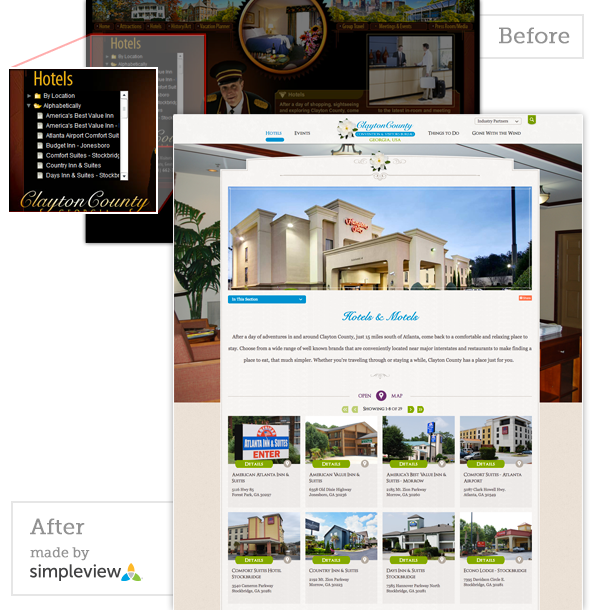 Clayton County CVB is also using our image box solution; providing their visitors with "windows" into content on other parts of the website. 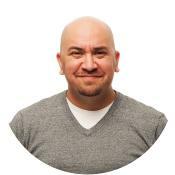 This allows visitors to connect directly to pages such as Attractions and Gone With the Wind, subsequently helping visitors find what they are looking for. These are just a few of the new features on Clayton County&apos;s new site, but there are plenty more to check out! To see all them up close, visit www.atlantastruesouth.com.